Zestaw kolorów do malowania pojazdów USA. Zawiera 4 kolory do malowania podstawowego kamuflażu oraz 2 do malowania elementów gumowych takich jak opony czy gąsienice. 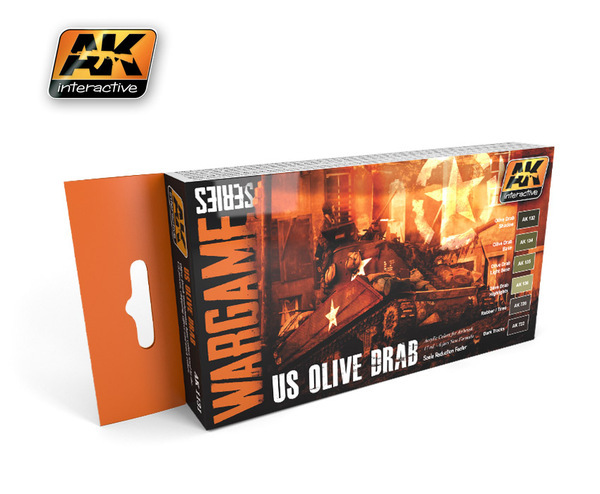 Specially designed for painting Wargame models and containing a wide range of real colours, with our standard formula with the finest pigments for brush and airbrush. These colours are our special and exclusive range with “scale reduction factor” for small tanks. The complete range of colours has been studied by historians and the most renowned Wargame painters. The boxes contain on the back a step by step sequence on how to use these paints.